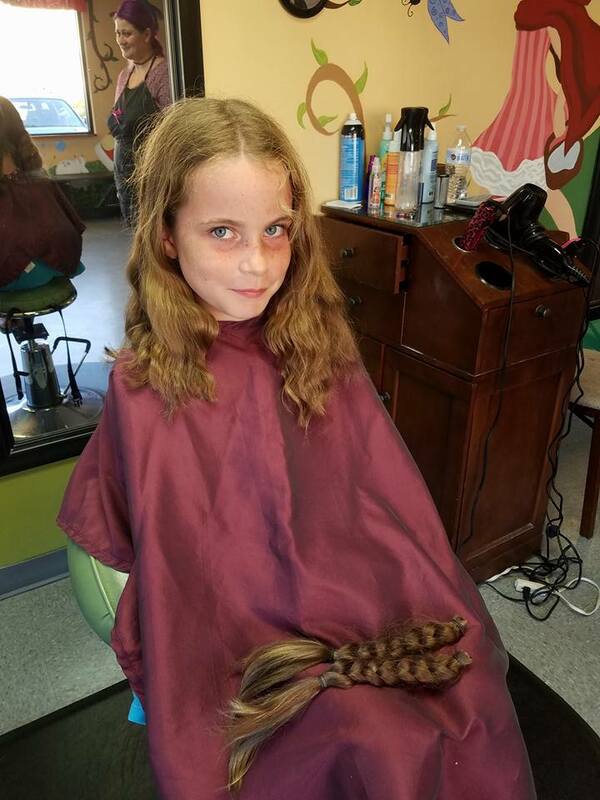 About 6 months ago, Dawn started talking about wanting to cut her hair and donate it. Her biggest concern was that she wanted to make sure it would still be long enough to pull back when she wanted it back so we decided to wait until after the summer was over. Over that 6 month period, we researched different donation companies and their requirements. Dawn made a pro & con list for each company and decided on donating to Wigs for Kids for multiple reasons. 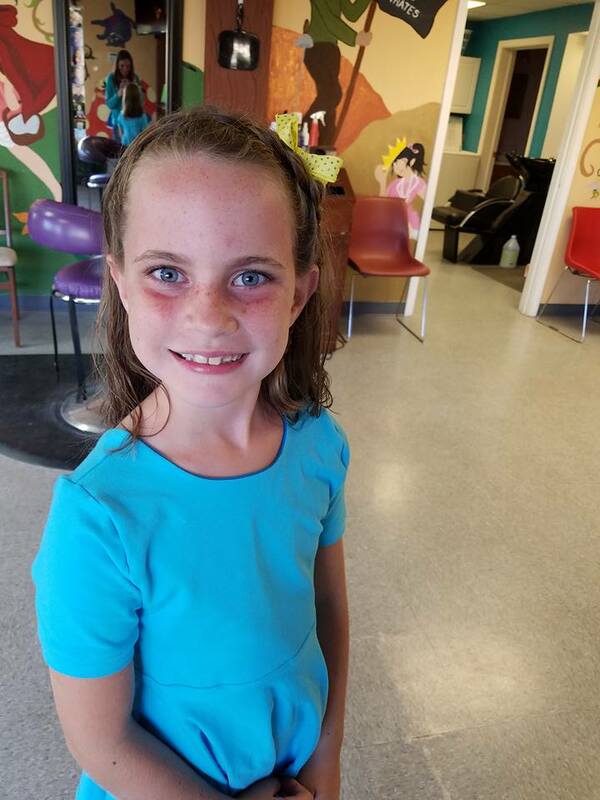 Dawn is a Brownie for the Girl Scouts of America, so she was very excited to learn that Wigs for Kids and the Girl Scout have a collaboration that any active girl scout who donated earns a special badge. Dawn also really liked that all the wigs are given to kids, and not only kids with cancer but also kids with other hair loss conditions such as alopecia. The only downfall was that each wig costs $1800 to make, even if the recipients do not pay for them. This point just made Dawn a bit more motivated and she has also added a fundraiser to go with her donation to help offset part of the cost of one wig. Today was donation day, Dawn was very excited but also very nervous. 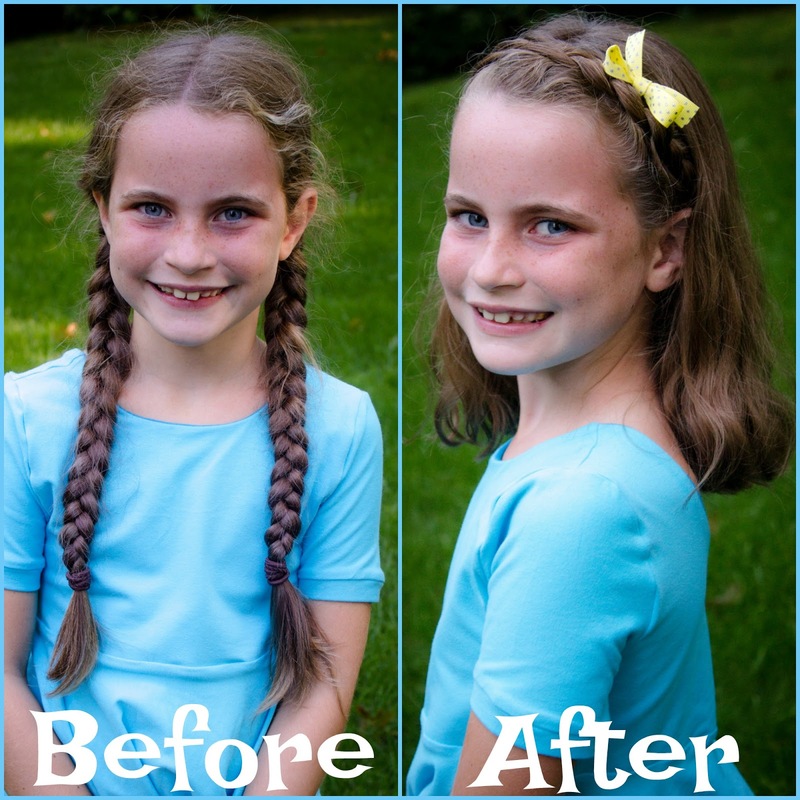 She has had incredibly long hair for as long as she can remember and she honestly loves her hair very much. 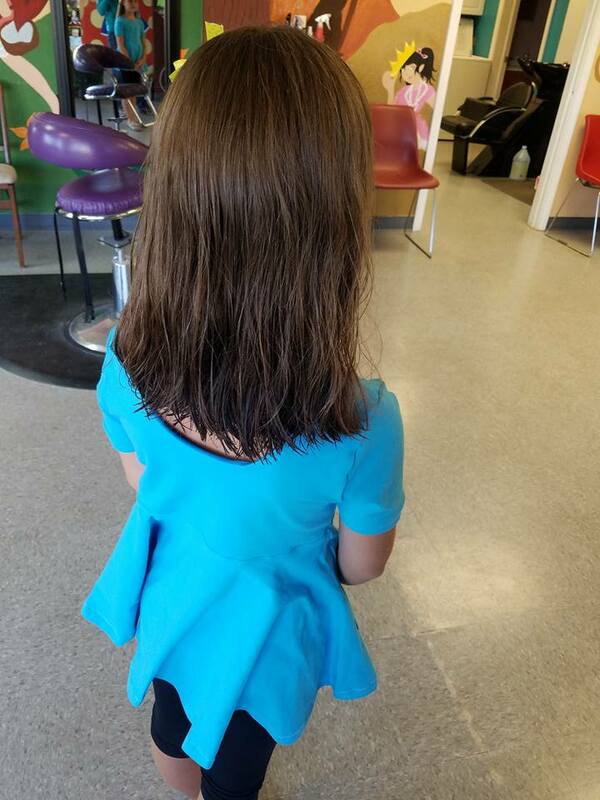 However, the kind and giving little girl she is, she was determined to donate her hair. She didn’t show any real signs of nerves until we arrived at the hair salon. She was incredibly shy and quiet but would nod at me with approval when I asked her if she was sure this was what she wanted to do. After a bit of measuring and adding of elastics to the top end of the iconic braids, the hairdresser quickly cut off her braids and laid them on her lap. 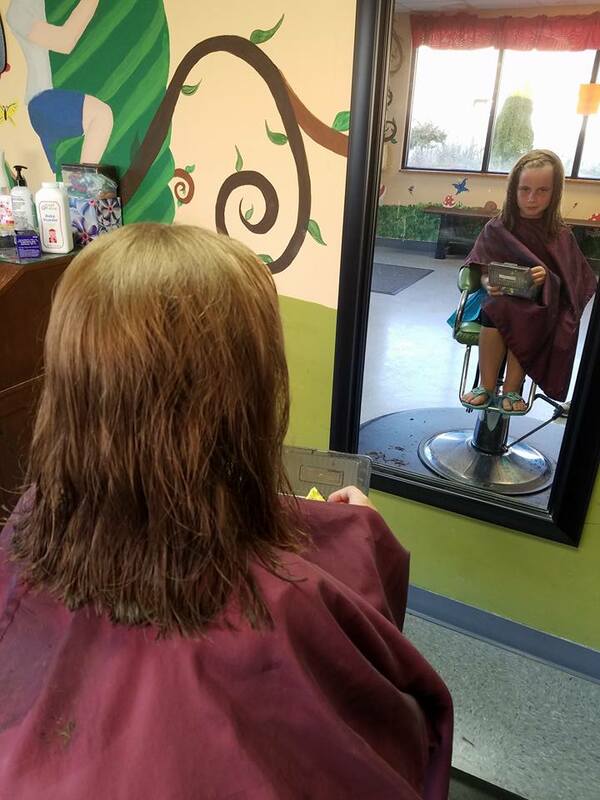 Dawn’s initial reaction looked like she may start to cry, but with one reminder from the hairdresser about how happy she is making another little kid, she was all smiles. They then finished cutting her hair and styled it with a braid crown and a bow. She was able to pick a toy out of their treasure chest and we were on our way home. On Monday, we will mail her braids to Wigs for Kids with her Girl Scout paperwork. In about a month she will receive her donation badge and a thank you letter from Wigs for Kids. In the meantime, she will continue to share her story and hopefully inspire others to do the same because it takes over 20 donations to make a full wig for a child! Awwww.. She is one cute and kind kid.You should be proud of her. What a generous donation and I love that she is taking the step to mail the braids in herself. What a thoughtful (and adorable!) daughter you have! She is awesome!! Her donation will be one of the greatest gifts they will ever receive!! She will be able to not only enhance their outer appearance but will contribute tremendously to their emotional well being. As a hair stylist I am able to contribute to and witness a grand transformation!! You rock Dawn!! !